Am I a Registered Participant? Great question. We do get this often where someone believes they are, but in fact are not a Registered Participant. When you sign up on the web page to get a login, you are NOT a Registered Participant. 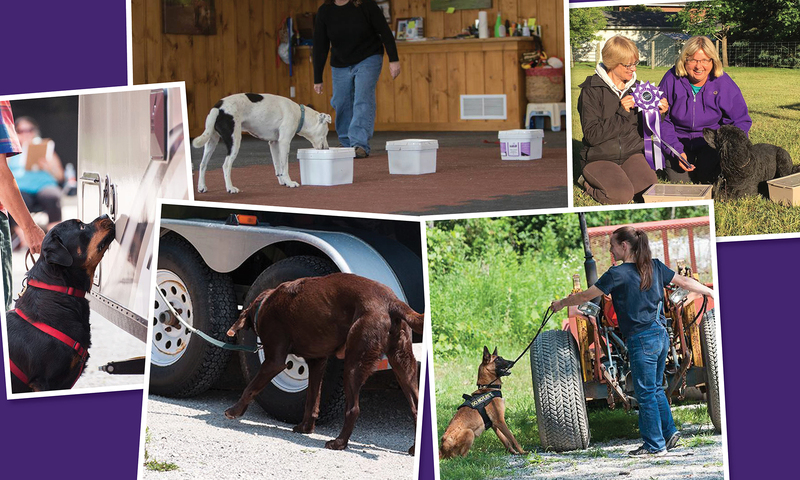 We need all that information so you can register your dog or become a Registered Participant. A Registered Participant is someone who specifically has paid to become one to obtain all the benefits of being one (early trial notification, discounts on dog registrations, free shipping on SDDA swag, etc.) This is for you, not your dog’s registration. You must renew your Registered Participant status annually. If you still are not sure if you are an RP – you can go HERE and check. If beside Status it says Current or New then you are an RP in good standing. If it is blank or says Expired then you are not a Registered Participant. Why should I register my dog? In order to compete in a trial, your DOG must be registered with the SDDA. This registration is for the life of the dog and does not need to be renewed annually. Once you’ve sent in your registration, please allow up to 5 business days for processing and 3 to 4 weeks for your card to arrive. Why should I become a Registered Participant (RP)? You do not need to be registered in order to compete, however, you will get three days advance notice of all trials which may be the difference between getting into a trial that fills quickly and not getting in. (you also get other benefits such as our informative e-newsletter and discounts on dog registrations, seminars and swag). This registration must be renewed annually to continue to receive the benefits. How do I find out about and enter a trial? If you are an RP (see above), you will receive an email from the SDDA with a Premium List and Entry form attached once the host has made it available and it has been approved. Fill this out and send it to the trial secretary as noted on the entry form. As a Registered Participant, when you get your trial notification, we trust that you are not passing the Premium List onto non-RPs. You paid for this privilege so don’t nullify it! If you are entering a trial as an RP in the RP-only period, you MUST put your number on the entry form so that the host knows you are an RP. If you are not an RP, you can go to our Events Calendar and download a Premium List and Entry Form which will be posted once the three days advanced entry period has passed. Some trials and other events, such as seminars, may also be posted on our Facebook page. Do I have to be registered to participate in a Designated Odour Test (DOT)? Neither you nor the dog have to be registered to participate in a workshop or Designated Odour Test (DOT). DOTs can be observed since the dogs are not competing, and the odour box is moved for each search. In order to HOST a DOT, you must be a Registered Participant and be experienced in sport detection. Kits can be ordered through our Web Store. What should I do if I don’t have my dog’s registration number in time for a trial? If your dog registration has been submitted, but you have not received your card yet, you may write “pending” on the entry form for your dog’s SDDA number and contact the SDDA Membership person for your number. Please advise the host as soon as you do get your number so that they can fill out score sheets prior to the day of the trial. You must also bring your dog’s registration card to the trial to confirm that the number is correct and the dog you have entered is the one on the score sheet. This issue can be prevented by registering your dog(s) well in advance of any trial you plan on entering. Please consider registering your dog and yourself (if you wish) as soon as you feel you are ready to think about trialing. This will help everything run more smoothly. Remember, the dog’s registration is for life so, even if you don’t trial right away, you will have that card on hand for whenever you feel you are ready and a trial comes up that you are interested in entering. How do I know whether to enter the Amateur Stream or Working Stream? Once you pass a Container Search, an Interior Search and an Exterior Search at the Started Level, you will have a Started Title. You do not have to pass all three on the same day. However, if you do pass all three on the same day, your title will be a Started Special title. The same applies to the Advanced and Excellent Levels. See the Rule Book on the website for information on additional titles. Once I have titled, will I get confirmation from the SDDA? Once you have passed all three Components at a particular Level, a title certificate will be printed and mailed to you. The name you registered your dog under will be reflected on the certificate. Allow a minimum of 10 business days for certificates to be processed and mailed and a maximum of 3 months. Contact the SDDA Certificates person if you have not received your certificate after this time. Title certificates are only awarded once for each level. Once I get my title, do I have to move up to the next level? Once you have titled at a particular level, you may enter again at that level as often as you wish, but must enter in the Working Stream. If you are or were employed in detection work you must always enter as Working Stream. Do you have a list with often used terms, a glossary, available? Yes, follow this document link to get to a separate document where often used terminology is explained. You can send any question to the general mailbox at info@sportingdetectiondogs.ca or visit the Contact Page on this website for direct email addresses for the volunteers handling specific tasks or issues.